For almost 500 years the Reformation has endeavored to return Christianity to the Bible. It has examined almost every belief imaginable in a search for truth. Every belief except one: the nature of God Himself. 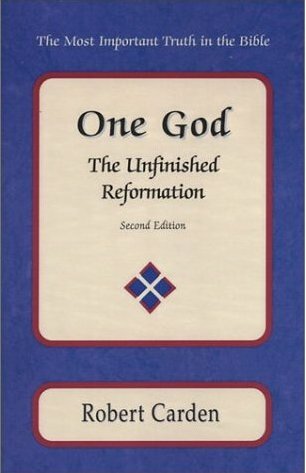 One God: The Unfinished Reformation takes you into the heart of God’s Word to answer what should have been the first question of the Reformation: Who is God? The answer may surprise you, for the Bible says nothing of a Trinity, but firmly declares that there is only one God: the Father of Jesus Christ. Getting to know this one God is the most exciting quest any man or woman can ever undertake.